I just discover this new dining place in De Garden during the New Year eve. The signature fun pub with live band in De Garden, The Oval, is a nice and unique place for night life. At ground floor, the new Fruit Land located in the middle of a palm tree corridor. Although I have not dined in here before but I believe this is the type I prefer. The famous fast food restaurants are really trying to conquer every corners of Ipoh. One after another restaurants started operating in just one year. 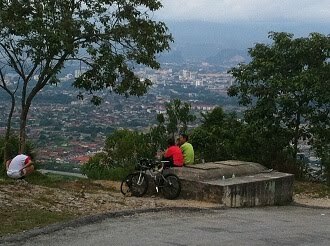 On top of the area with most new restaurants opened, Gunung Rapat, there are also less popular or unexpected spots seen to have new fast food outlet, such as the KFC and Pizza Hut in Tasek. As for Domino's Pizza, it has established 3 new restaurants in Ipoh in just 4 months. One of it located along Silibin Road which is lack of restaurant. I believe the battle still not over, there will be more to come sharing the piece of cake in Ipoh & its surroundings. 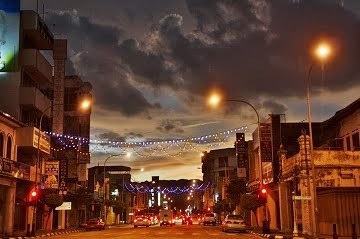 Living in downtown Ipoh is not a trend nowadays. People are choosing to stay in residential estates away from city center that provide sufficient space for more relaxing daily life. As mentioned in previous posts, many residents have migrated away from downtown shophouses. Similarly, old apartment like this one in South Treacher Street (opposite Chung Shan Primary School) also suffering the same fate where majority of the units have no occupant. For those occupied, they could be foreign workers. Despite the convenience of reaching several facilities & services by staying in downtown, the city center still losing population. A jumbo jet is taking off from De Garden? Don't worry, this is just a model airplane on the roof of De Garden to attract people's attention. 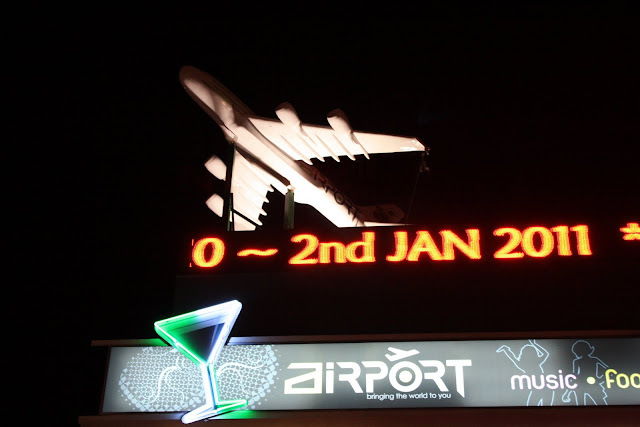 It is done by the theme restaurant Airport. Well, it does looked fresh in Ipoh because it used to be only conventional planar advertisement in this city. 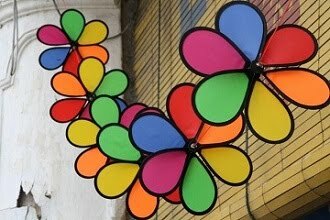 Although the trend is a little slow in Ipoh, we are now start to see more creative stuff appearing around here. The giant signboard post has been put up since September. After waiting for for three months, the logos are finally installed. It seems the wait for the these fast food restaurants in Tasek will be over soon. Although Tasek is surrounded by housing & industrial estates, variety of food in this area is quite limited, especially at night. Anyway, when the 24-hour operating and drive-through available KFC opens in near future, residents and factory workers here will find an additional choice for dining, and the convenience of filling stomach at night. 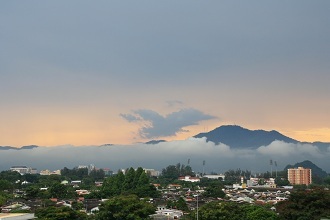 Lahat, a little town at south-west of Ipoh, is at the boundary of Ipoh City Council's territory. The trunk road connecting Ipoh with the south-west corridor (Seri Iskandar, Sitiawan & Lumut) does not cross the heart of Lahat town but passing by few yards away. Just like many others, I used to see the town when driving through but never get into the town. Today I pay a visit to Lahat for the first time. There is nothing much but just two rows of shophouses at the main street and some scattered houses surrounding it. Although the buildings are quite old but most are still occupied, both ground floor & upper floor. 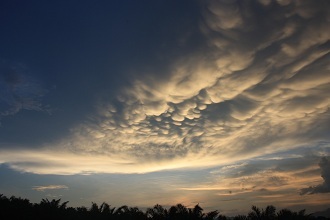 This is not seen anymore in Ipoh and I feel like reaching here through a time machine. A community hall or assembly hall is a typical infrastructure of a settlement during the British colonial era. This Lahat Assembly Hall established since 1955 has gone through more than half a century. As seen from the renovated building structure, I believe it is still playing an active role to be a gathering place for local residents during special occasions. Modern technologies have brought people closer. The way of communication also has changed a lot; from conventional mailing to electronic messaging. Moreover, the convenience of travelling with better transportation & road network, many people do not rely on local post service anymore. The result is the closure of some post offices in small town. Lahat post office has been stopped from operation since 2004. The building did not converted for other purposes but simply abandoned and ends up in today's poor condition. Amazingly, the notice board in front of the building doesn't looked old. If not reading the date of notice, I was thinking this post office was closed not too long ago. Merry Christmas!! Today is a joyful Saturday. Many of those working outstation are back in hometown & having gathering with friends. Crowds are seen in most restaurants & malls in Ipoh. 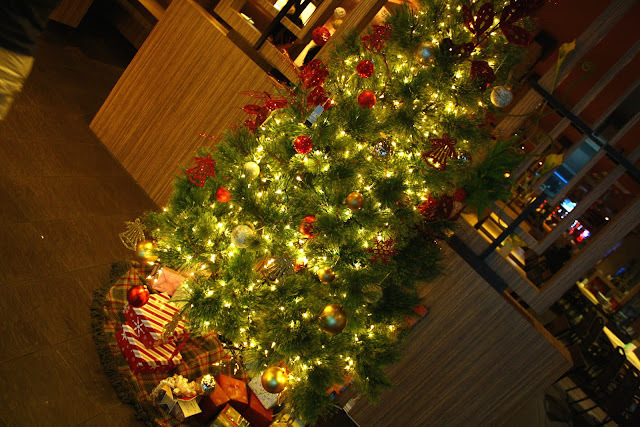 When I arrive in Boston Restaurant at De Garden for a reunion of old colleagues, a Christmas tree is welcoming each and every customer at the entrance. This is certainly a beautiful night. Although living so many years in Ipoh, I still miss out some local nice and delicious foods. It was one day my colleague passed me a kaya puff. I can still feel the heat when holding the puff and at my first bite, the crispy shell and smooth kaya stuffing simply melted me. I quickly asked for the address and later made a trip to New Town searching for this shop. It was not too hard to locate it because there are only 6 blocks of shop on both sides of Clare Street and when walking nearby this shop, probably 4 or 5 units away, I could already smell the aroma of biscuit. I arrived with a long queue of customer patiently waiting for their turn to make an order. The owner and workers were non stopping packing like a machine. 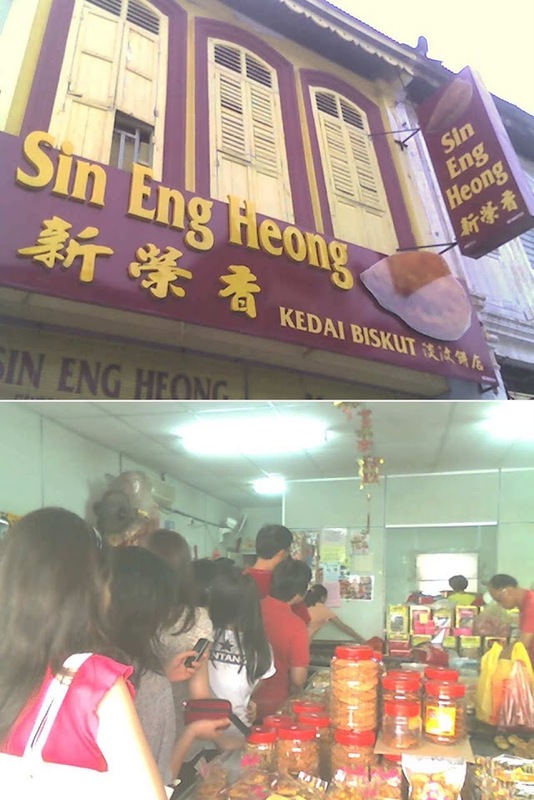 There are not only kaya puff but also many other choices of biscuit, such as "heong peng 香饼", salted egg biscuit, Tambun biscuit, "kah lui peng 嫁女饼" and many ready-packed famous local products. Unfortunately, when I reach the shop, my camera battery ran flat and I can only capture its image with my mobile phone's VGA camera at lower resolution. Anyway, you should still see the popularity of its product from the long queue of patient customer. For larger quantity purchase, a pre-order by phone is advisable. 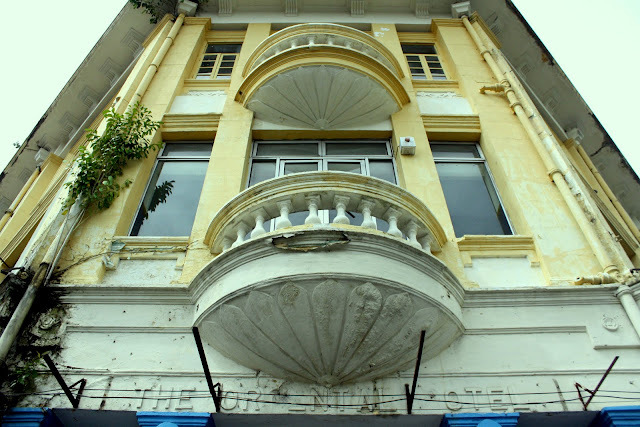 No.64, Clare Street (Jalan Mustapha Al-Bakri), 30300 Ipoh, Perak, Malaysia. Type "Sin Eng Heong Ipoh" + kaya puff in your internet search engine, you will find many relevant websites sharing its product. Two more days countdown to Christmas of 2010. Christmas tree is a must when come to this season. Hotels, shopping malls & restaurants are beautifully decorated for Christmas and New Year. Kinta City Shopping Centre is putting up a big Christmas tree and some decorating stuffs at the center court stage. Likewise other shopping malls, it becomes the favorite spot for photographing and kids are running happily on the stage just like a playground. 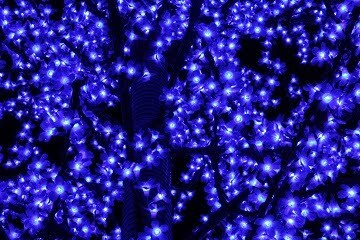 The joy of Christmas is deeply felt. 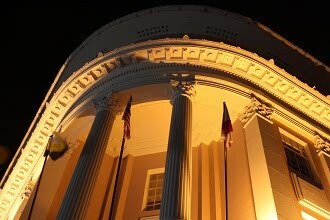 If you read the post of 17-Feb-2010, you would find this same building I mentioned was not known of its purpose. Being located at one of the fastest growing area in Ipoh, many would just conclude the building will be another office block. However, it turns out a little surprise to be an Islamic medical centre. Including me, many may find the name Ar Ridzuan Medical Centre not familiar, but it indeed existed for some time. Still no idea? Let me tell you this clue, Jalan Seruan of Chateau Garden..... Yes, the Islamic medical centre nearby Damaipuri Condominium is Ar Ridzuan. It was the sign "Hospital" drawn my attention when I was walking down in Greentown Business Centre. I was thinking the Ipoh General Hospital (now known as Raja Permaisuri Bainun Hospital) is although nearby but still some distance away from where I saw the sign. 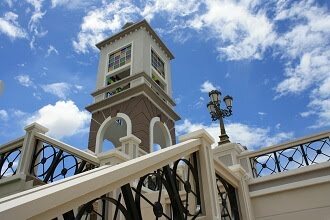 Later I found out it's on the main block of Greentown Suria. Anyway I have no idea whether the medical centre is operating or still under renovation. Meanwhile, the other end of the complexis occupied by a hotel. I shall later check it out and share with you right here. From the internet, it shows the information about Ar Ridzuan Medical Centre still at it's original location. 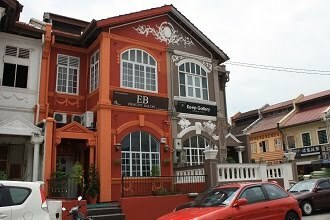 No.9, Jalan Seruan, Chateau Garden, 30250 Ipoh, Perak, Malaysia. Thian Hou Kong (天后宫) or Thian Hou Temple is one of the oldest Chinese temples in town. It is celebrating its 60th anniversary today, according to the lunar calender. The temple has gone through renovation works some time ago and it appears in good shape nowadays. 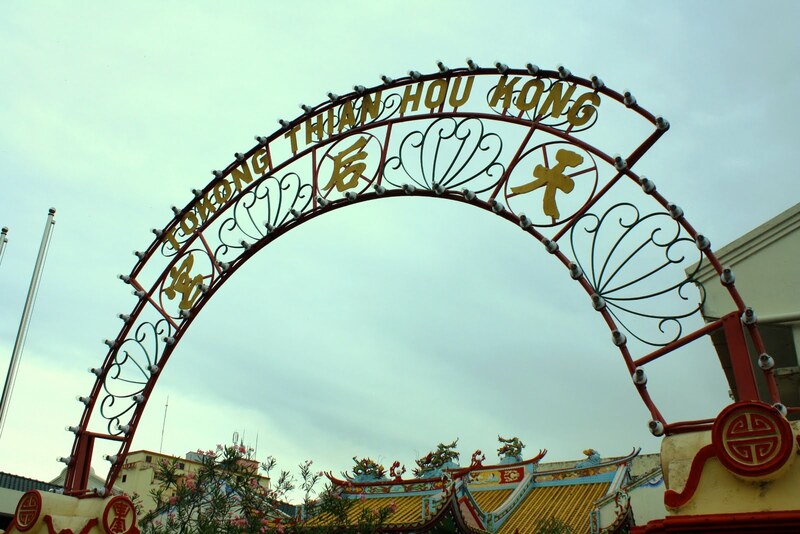 I used to visit Thian Hou Kong because my grandmother liked to watch the Teochew opera (潮剧) very much. 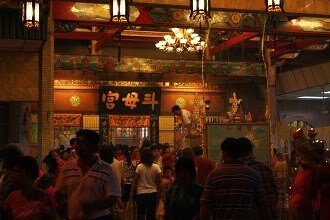 The opera would showed at the wooden stage on the right side of temple during birthday celebration of God of Thian Hou. The stage has been upgraded to a concrete structure but opera performance has ceased for many years. 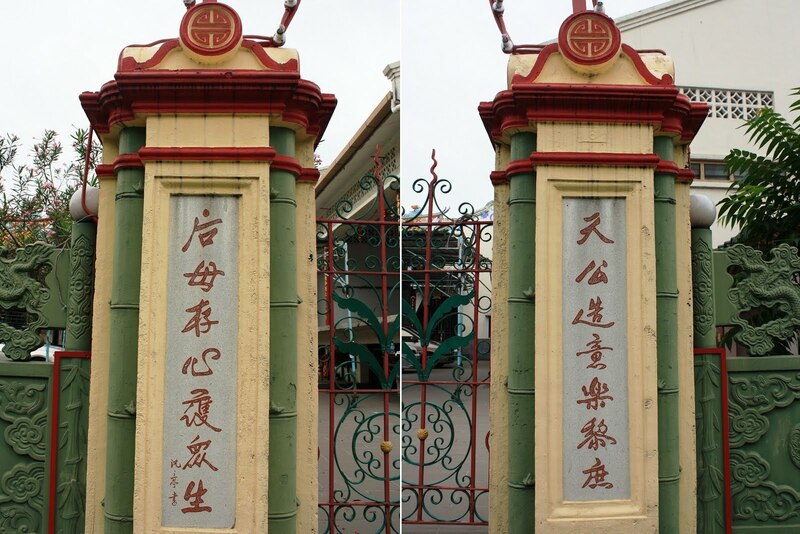 But one thing that is not changed, the main entrance gate and the metal arch standing on two posts that written with couplet. On one of the gates, I find a common trick in couplet where first character of each sentence would form another meaningful word, in this case, the name of Thian Hou (天后). Apart from the stone guarding lion (shared in 20-May-2010), I am also impressed by the nicely sculptured front guarding fence instead of ordinary iron bars. 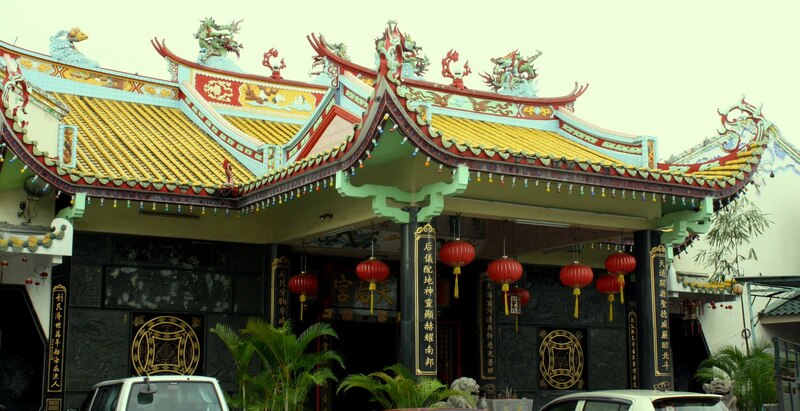 Perphaps many Ipohites do not aware of the existance of Thian Hou Kong because it is not as well known as other greater temples. However, I am grateful about the effort of person-in-charge to maintain the temple in good manner and keeping this 60 year-old sacred place neat & tidy. 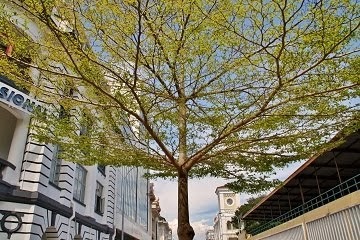 As I have shared in 15-May-2009, this building, which used to be The Oriental Hotel had changed its owner several times. Some Ipohites at age of 30's to 40's must remember very well the fast food restaurant, Grandy's, that was operating here during 1980's. The last I know was an electrical goods chain store operating here. Today I see the building is under renovation. From the banner, I believe it will be specialized in retailing a well-known brand of electrical product. Anyway, I can still read the embossed characters on the wall telling us the original identity of this building. 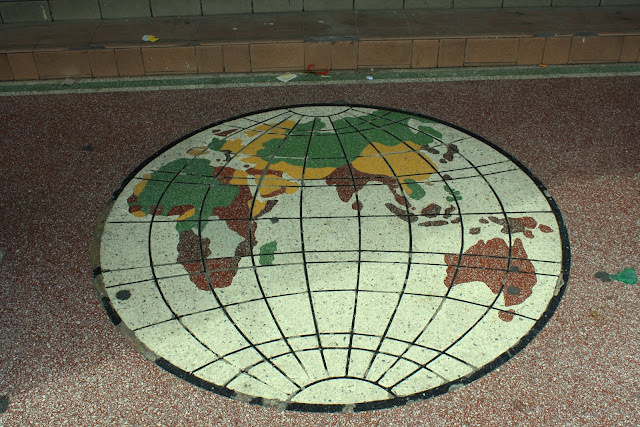 Another unique and must preserve part of the building shall be this picture of globe at the main entrance. I read this pattern as a symbol of the hotel to welcome their guesses that came from around the world. It displays a typical floor finishing style of mid 20th century. 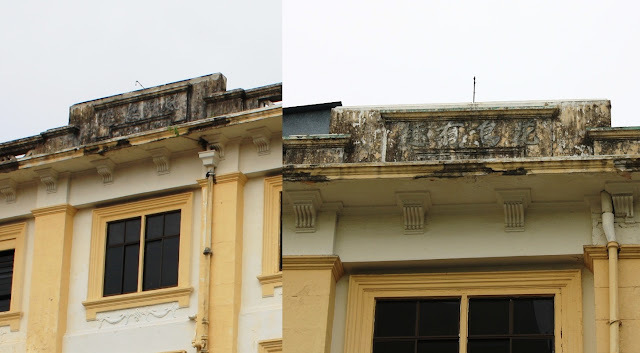 If the renovation work is going to remove this picture, it would be another lost of Ipoh's heritage. One more thing I must mention here is the famous roof top garden in the past. Although I have never seen the garden but I read it from some books. And I am quite sure that the hotel was proud about this hanging garden because I can read the Chinese characters at the roof of two sides of the building. Well, I just try my best to direct translate it, the right side "花鸟有趣" means "fun of flowers & birds", while the left side "风月无边" means "moon & wind with no boundries". This should be the feeling of someone who could enjoy bird singing in the flowery garden while cool breeze blowing under the moonlight. From a street hawker to "private limited", Lou Wong Bean Sprouts Chicken (老黄芽菜鸡) is now one of the most visited restaurant in Ipoh. 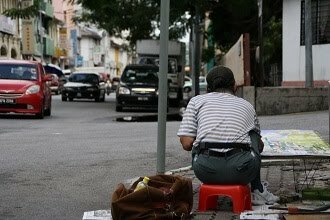 During my childhood time, Ipoh was seen with street hawker everywhere. Osbourne Street & Yau Tet Shin Street were lined up with hawkers at night. One of them was selling "chicken slice hor fun" (鸡丝河粉). 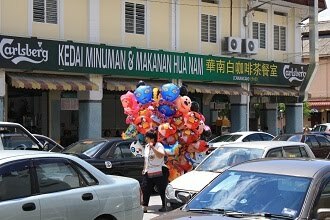 But came to year 1986, Ipoh Municipal Council enforced tidier town planning and ordered the street hawkers either to move into shop or food center. Most of the hawkers around Ipoh town gathered at current Rainbow City food center (indeed still operating along the street) while some moved into buildings. As a result, Ipoh streets suddenly went into deadly dull. However, after moving into this shop in Yau Tet Shin Street, the chicken slice hor fun begins it's branding journey as Lou Wong with the very special and tasty chicken, bean sprout & smoothy noodle. After years, people of Malaysia and even from overseas get to know about Lou Wong and the business seems non stop from evening through midnight. Recently it has adjusted the business hour to open during day time too. I also find Lou Wong has just replaced a brand new billboard today. One thing that make the environment even more colourful is the balloons. I start to see this business growing in most of the crowded restaurant areas, such as Cantonese dim sum district, Leong Sin Nam Street and white coffee district, Leech Street. Wenzhou (温州) is a coastal city in China, located in Zhejiang Province (浙江省), the region between Shanghai and Xiamen / Hong Kong. The Perak State is currently working very close with Wenzhou for more intensive business relationship. There had been commercial expos being held in Ipoh & Wenzhou to introduce each other's local products and more investments are potentially kicking off at both cities. 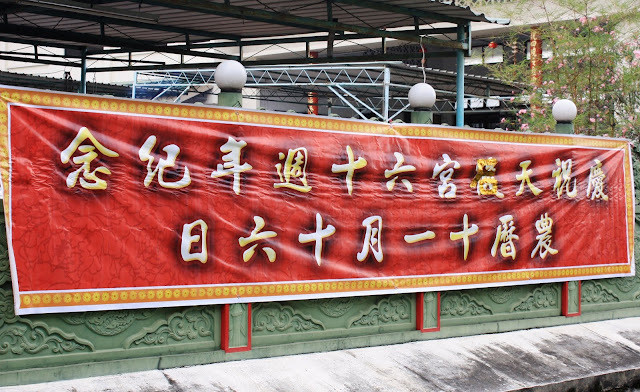 After Guangzhou (广州), Wenzhou is now another Chinese city that develop closely with Ipoh especially in trading & commercial. I find a company in Osbourne Street established mainly for this purpose. We will probably find more in near future, including the possible occupation of previous Super Kinta Department Store floor space by traders from Wenzhou. Some common things that were used daily in the past have become something special nowadays. In the process of modernization, most Chinese tend to seek for simpler and more convenience solutions that lead to lost of many traditional practices. Some classic products & traditional costume were also left behind. It was even considered outdated where someone would feel shameful for using traditional stuff. Luckily the consciousness of preserving tradition is gradually recovering. Anyway, the traditional items are no longer popular like in the old days. It can only be found at some specialized shops. I found this place in Anderson Road, so called "Classic Art", is offering tradition stuff mainly for wedding. 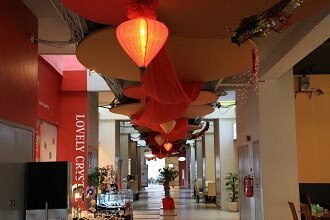 It also provides training or course for those who interested to become Chinese wedding coordinator (known as "dai kum jay" in Cantonese, 大扲姐). 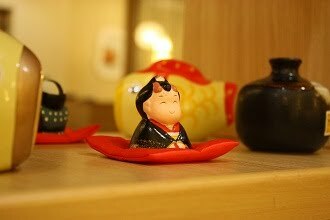 Well, I believe with creativity, we can find the balance point for integrating tradition elements into modern daily life in order to keep the beauty part of old time lifestyle. 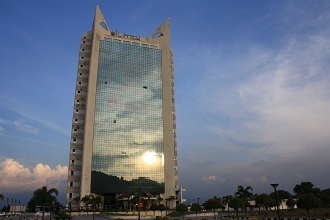 Greentown has been a hot spot for commercial development in Ipoh city center since 1990's. It began from the establishment of Greentown Business Center on a piece of land between two roads going in parallel, Sultan Abdul Jalil Road and Dato Seri Ahmad Said Road. However, the land was not fully utilized. Few plots were left vacant and used to be car park to cater the high demand. Since 5 years ago, one after another shop and office blocks begin to fill up the lands. 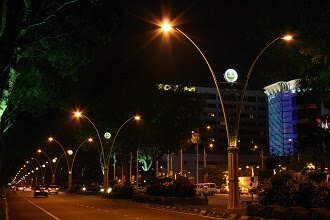 Greentown Avenue is the latest completed section situated right beside Dataran Ipoh (Ipoh Square). This is the largest part among recent developed sections and it consists of 4-storey office blocks that come with basement car park. Some of the blocks are having a front corridor with almost 20 feet wide which can be utilized for open air dining or commercial / social activities. Restaurant, home deco show room, bank, boutique start moving in since few months ago. Although the business center was suffering stagnancy during the downturn, it seems Greentown Avenue is now well accepted and may boost the business opportunity in this area. 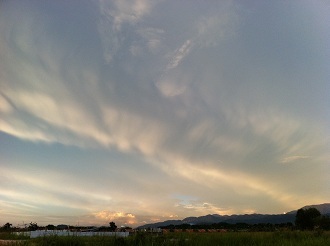 Looking up, I see a nice blue sky with thin white clouds forming waves that refracting evening sunshine. Hard to imagine about 3 hours ago it was downpour & strong wind sweeping over the city. Sometimes the weather is really dramatic, the storm struck in a sudden during lunch time and stopped about an hour later returning a very sunny evening. After mobile phone getting popular, almost everyone from 8 years old to 80 years old is carrying one, public phone is left far behind. It was once nearly no more public phone service available. As I encounter, the majority who do not own mobile phone are the foreign workers. Since few years back, their population is growing in this country and demand on public phone raise accordingly. New public phones started to fill up the abandoned phone posts that usaully appeared as a stand with small cover. 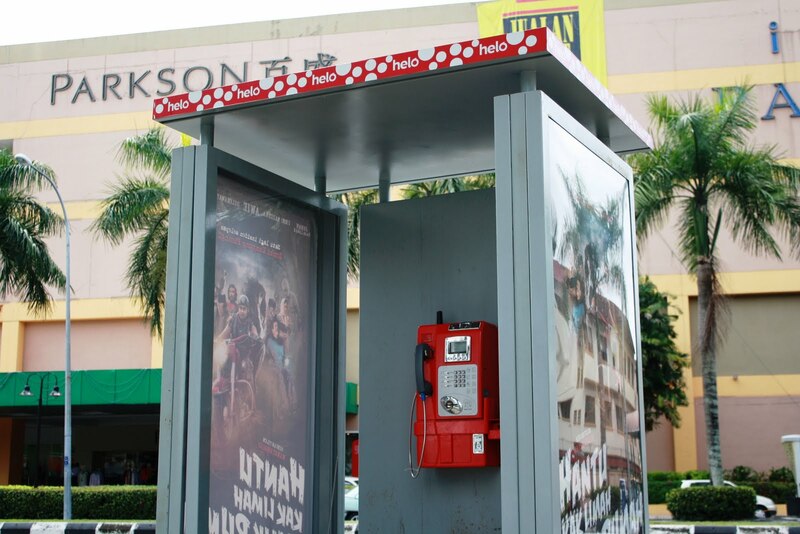 A phone "booth" like this in front of Ipoh Parade Shopping Center is normally not seen. It is indeed not a real booth but just covered by a flat roof and two advertisement boards. Anyway, it seems to have better privacy but I am worrying how well it will be maintained at the relatively low civic awareness of local society. The 7-storey hotel under construction is close to completion. I believe it will be opened in a month or half in order to catch up with the peak season during Chinese New Year (early Feb-2011). I find the progress is pretty slow. Since my last post about it in 09-Jan-2010, which had reached 6th floor at that time, the work has not completely done after almost a year later. Anyway, I like the color of the building, unlike many other new buildings that uses striking but unmatched colors. However, I still not sure of the hotel name. May be it will be unveiled soon. It's dinner time of Saturday. Traffic is heavier than normal because many would choose to dine out. This evening happened to be not raining and sunshine refraction from the scattered clouds appeared like gold flakes in the sky. Foong Seong Building, or some call it Foong Seong Villa, is a 3-storey old building in Laxamana Road. 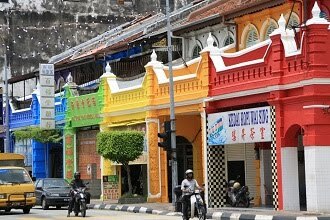 Located diagonally opposite to Lam Look Ing Bazaar, building like this back in years of 1930's is considered grand scale in Ipoh. 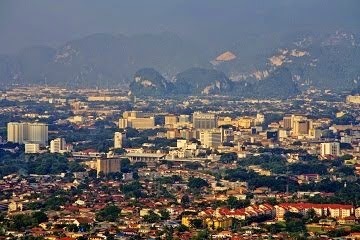 And I realize there are quite a number of relatively big buildings in Ipoh completed in year 1931. I believe that was the time where this little small town experienced a leap in urban development. Back to talk about Foong Seong and the building. He was one of the famous tin miners in Kinta Valley. 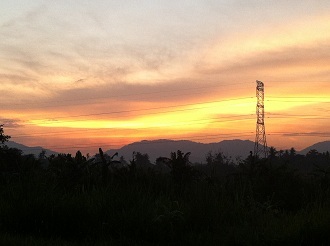 Most of his mines were located at south-west Ipoh, in the area of Pusing, Tronoh, Papan & so on. Just like other major tin miners, he had contributed a lot in Ipoh town development including the establishment of Sam Choy Primary School, which was once operating at top floor of Foong Seong Building. The ground floor of the building still occupied by shops but the upper floors are believed to be vacant. It looked poor even from the exterior, we can see some windows are only covered by alumimium plate. 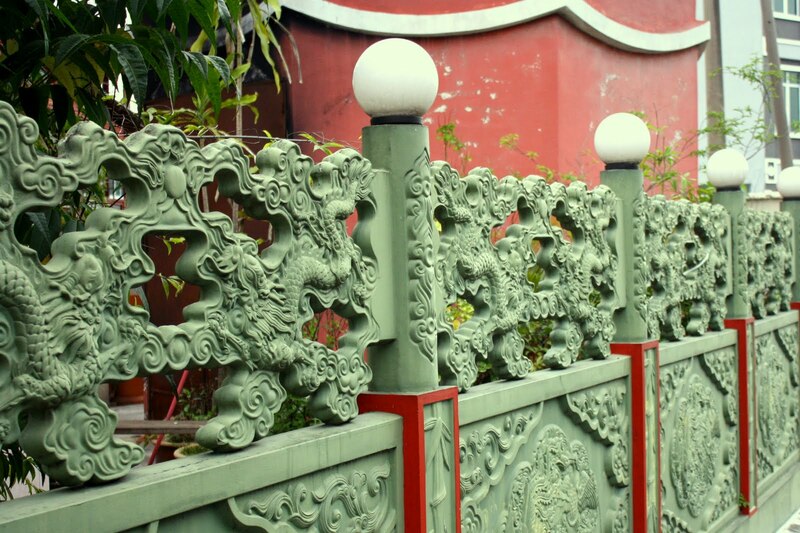 With its strategic location in the heart of city, it should not be ignored of its potential to be a restaurant, heritage hotel or even civic hall because it used to house a Chinese opera theater in the past. 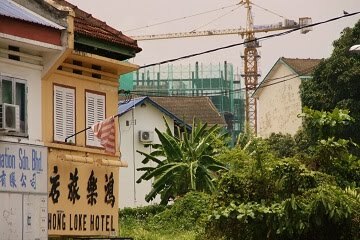 Before new hotels mushrooming in Ipoh, there were only very few we can name it about ten years ago. The most popular were Excelsior, Casuarina (currently Impiana), Syuen, Heritage, Hillcity & Tambun Inn. Some smaller but old & poor conditioned hotels are normally not preferred or recommended. There were this kind of hotel around Yang Kalsom Raod & Cowan Street area. 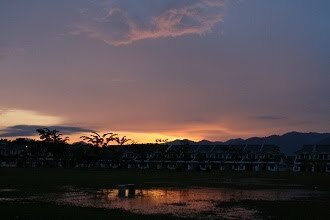 Most of it are established during 1960's to 70's when tin was king and Ipoh was flooded by massage center, even once carried the nickname as "Little Hatyai". As I remember, the 9-storey Mikado Hotel (帝国酒店) was the tallest building along Yang Kalsom Road and its ground floor was occupied by UMBC Bank. Anyway, both hotel & bank were hit by the economy depression of 1980's and closed down. 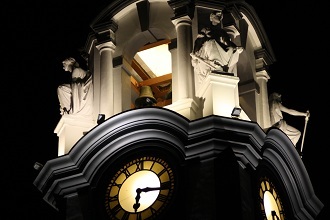 The building was unoccupied for almost 15 years until the opening of Ritz Garden Hotel. Although this is not a highly star-rated hotel but feedback from foreign visitors & friends are quite positive, at least it's value for money. 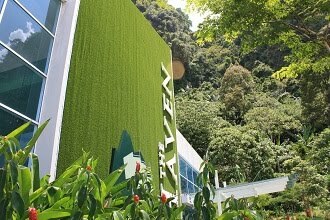 One advantage that could not obtain in many other hotels in Malaysia is the free wireless internet access throughout the hotel. Its location in the heart of city also offer so much convenience to its customer; food, public transport, entertainment, bank, money changer & mobile phone shop are just within walking distance, even right in front doorstep. I am very please to see the building has gain a beautiful resurrection and turns out to be well accepted. Despite heavy competition with many new budget hotels in Ipoh, I notice Ritz Garden continues to grow with expansion to nearby building. More details about Ritz Garden Hotel can be found at below. No. 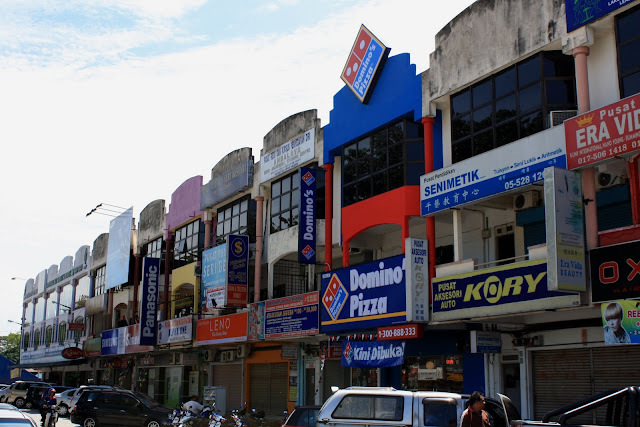 86 & 88, Jalan Yang Kalsom, 30300 Ipoh, Perak, Malaysia. It's almost time to alter our way of writing date from 2010 to 2011. During school time, I used to feel that one year is a pretty long period. But now, since started working life, a year become relatively short and time is like flying, passes in a blink of an eye. Anyway, when making a review, there were really many things happened over the year. No matter good or bad, cheerful or sad, the fact is, tomorrow is a result of today. It's up to us to shape it. 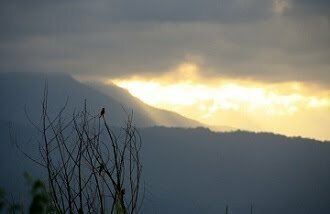 So, if we don't appreciate something today, we will lose it tomorrow; not only wealth, but also relationship, health, environment & natural resources. And I always believe, the happiest life is to make other people happy. The past weekend was just a lazy weekend. 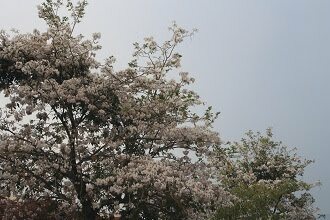 It remained cloudy the entire day and sometimes drizzling. There was no direct sunlight and hardly any clear shadow seen; a really good weather for outing. 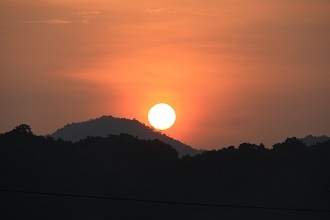 Somehow, the sky was cleared over the night and dazzling sun rise wakes us up for the start of another working week. May be many are still on their vacation because tomorrow is a public holiday and probably people are taking leave from work to enjoy a long weekend with family during this school holiday. However, I am still working today and tomorrow. 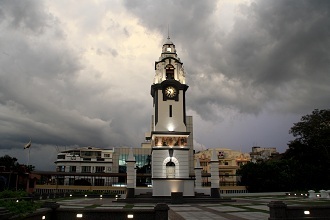 It's just another cloudy day in Ipoh. I am feeling a little lazy to wake up this Sunday. Going out in day time without sweating like normal hot days is just a nice experience. What makes it better than yesterday is there is no drizzle and we can enjoy hanging around outdoor. 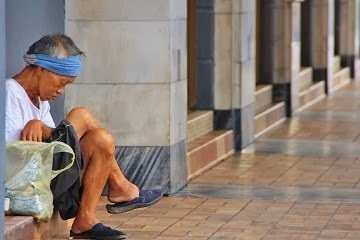 Nevertheless, some poeple may not like this weather as it makes them feel down & lazy. FMS bar & restaurant has been closed for renovation for more than a year. The building was initially looked like abandoned for quite some time and many worried of its fate. Luckily the renovation eventually start but the progress is slow. After several months it only come to the stage of replastering the building surface. It seems FMS will not open to the public again that soon. Anyway, I feel please to see the restoration has retained majority of the original design and even the partially done corridor looked good. One more thing I hope to see when it reopen is the cowboy door, you would see it in old photos of FMS before its closure. We can hardly find such cowboy door nowadays but as I only know that is another old restaurant at the junction of Clare Street & Osbourne Street (I don't know the name in English but in Chinese is 新情天) still have it. ... 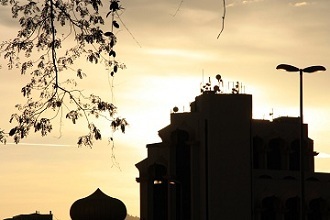 I also feel grateful that Images of Ipoh has come to the 500th post since its establishment in Jan 2009. Although this is not a great achievement but the blog is certainly reaching an important milestone. 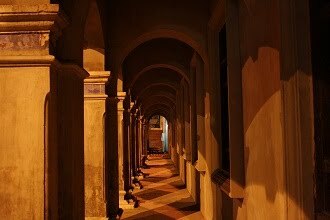 I appreciated the support & comment from all readers, Images of Ipoh will continue to share the beautiful photos & stories of this lovely city. Miners Arms, a name that I have heard since I was young, is one of the famous western restaurants in Ipoh since decades ago. However, I have not dined in here before. Some time in few years back, I saw the restaurant is kind of ceasing operation and thinking that could be a lost of another western restaurant after the closure of best-known Le Rendezvous Cafe (a new restaurant now opened as Eastern's Brasserie). Fortunately, Miners Arms is surviving and even come with an eye-catching LED signboard. I promise myself a visit to this restaurant is a must in near future. The 2 units of shophouse at Hugh Low Street were caught in fire many years ago. Due to the slowing down commercial activities around this area, the shops were left untouched since then. Recently construction work started at this site to build 2 units of 4-storey building sandwiched between another two 4-storey shophouses, which display typical architecture of 1980's. Let's wait and see how the appearance of these new shops that will fill the gap. Anyway, it's a little sad to see this particular row of shophouse has only few units left as original piece. The scene is farther apart from what it appeared to be since early 20th century. When driving from Old Town to New Town on Brewster Road, the first and only junction before crossing Brewster Bridge is Leech Street (Jalan Bandar Timah). If turn right into it, there is a short session between Brewster Road and Hale Street. On both sides over here, there are two shops which actually facing Hale Street, having identical design but different fate nowadays. One is just having its renovation done whereas another remained in poor condition. 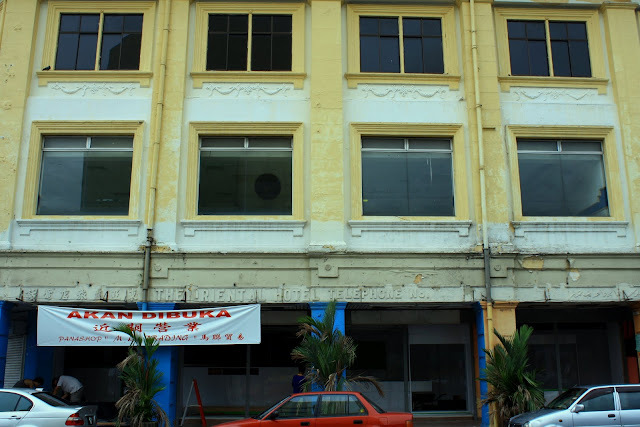 The better shop was once occupied by a famous photo shop, Kok Kin, which has moved three blocks south to Hugh Low Street (appeared in post dated 18-July-2010). It later became a fun pub but eventually closed down. The shop was undergoing renovation and is now vacant pending for new occupant. The poorer shop is occupied by a local traditional advertising firm. There was a film shooting here around mid of this year but I have no idea what is the product; movie, drama or advertisement? As for the upper floor, it is most probably vacant by seeing some windows are missing and only covered by metal plates. Again, I am wondering how the owner is not interested to restore the building just like its neighbour. But on another point of view, it may simply lack of commercial value to be further invested by benchmarking the neighbour, renovated but still vacant.